Grout work including re-grout jobs and removal of existing grout. 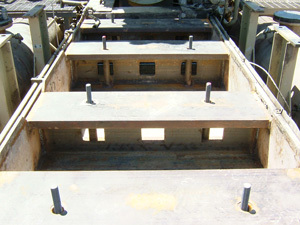 Skid repair including skid revamp to reduce or eliminate compressor package vibrations. Compressor re-grout in progress The grout box is being modified to properly support an Ariel JGC-6 compressor frame.